The NEW Quantum™XT is a compact, user-friendly void fill system with exceptional reliability and performance. 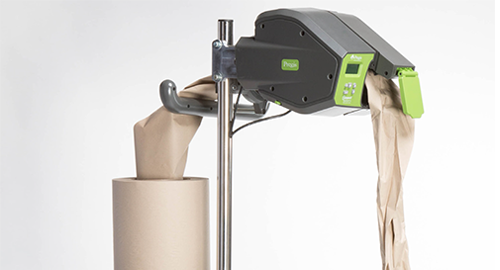 This advanced packing system is totally versatile and highly efficient, allowing users to pack more goods at higher speeds and in any location. The 100% recycled, recyclable, biodegradable paper allows users to pack directly into the box continuously for faster output, whilst minimising storage space.